When it comes to designing a catchy poster, it seems like even some experienced designers find themselves blocked and unable to come up with anything worthwhile. What is it about posters that brings out this anxiety in people, and how should one approach such a design task if they find themselves faced with one? One of the biggest perceived challenges is often related to making good use of all available space. A poster offers a large area to work with, and you have to make sure that it’s utilized properly. However, as we’ll find out below, this doesn’t mean filling up every single square inch with artwork. A technique commonly used in photography involves the creation of an invisible, subtle “path” that will guide the eyes of the person looking at the photograph. This can work very well for the design of a poster as well, and it can actually be a very powerful technique in this context when used right. If you have some intricate knowledge of color theory and similar topics, you can easily make sure that your audience will follow a very precisely defined path. As we said above, you don’t necessarily have to fill every part of the poster with content. In fact, leaving wide open spaces can be a very powerful technique with a great impact on the perception of the final image, but it has to be done with caution and knowledge. It’s very easy to mess things up and create the wrong impression when trying to rely on negative space in your design, so if you’re not feeling too confident with that, you should definitely leave that part of the job to a professional designer. A mistake that commonly gets overlooked, the wrong choice of fonts can have a disastrous effect on the overall perception your poster creates. Not only among people knowledgeable in design, but all viewers in general. Make sure that you coordinate these decisions with someone who understands this field and knows which fonts work well and which ones don’t. And once you’ve secured a good design, you of course have to make sure that you can get it printed properly and without any complications. 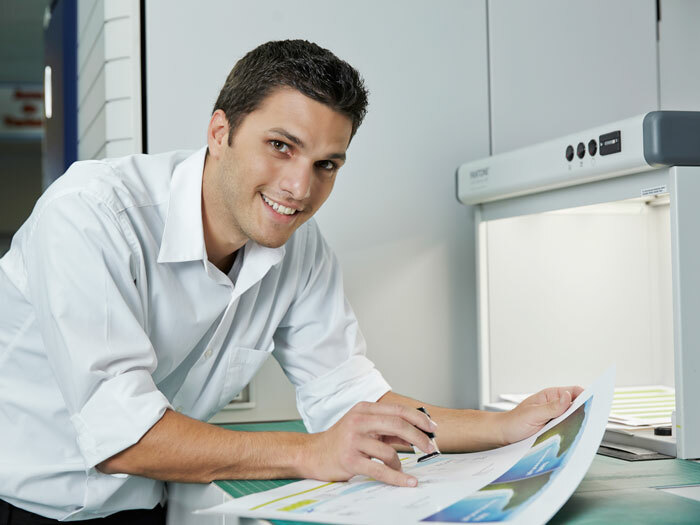 That’s where a reliable printing partner comes in, and if you don’t know where to turn for such services, get in touch with us, the best NYC printer, and we’ll show you the way.